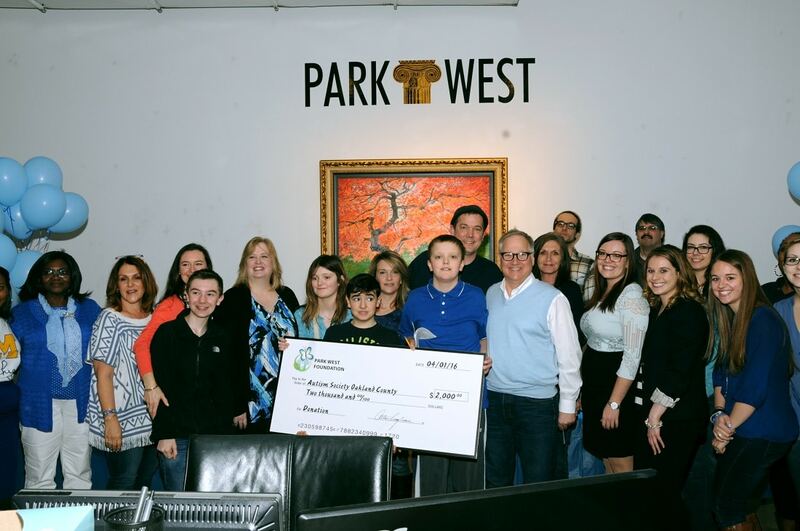 In its continued effort to raise awareness for autism, Park West Gallery supported the 2016 Walk 4 Autism to benefit Autism Society Oakland County as a platinum sponsor. The foundation donated $2,000 to Autism Society Oakland County on April 1, 2016. 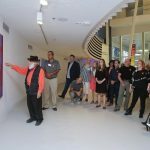 A check presentation was held at 11:30 a.m. at the gallery, located at 29469 Northwestern Highway in Southfield. In addition to the donation, Park West Gallery lit blue lights in its lobby to coincide with the first day of Autism Awareness Month and World Autism Awareness Day (April 2). Barbara Brennan, president of Autism Society Oakland County, said donations like the one provided by the Park West Foundation are used for community grants and workshops that provide those with autism real-world skills, whether it’s job interview techniques, cooking tips or socializing. The Autism Society Oakland County has been involved in the local community since 1985 with the goal of providing meaningful participation and support in all aspects of life to individuals with autism spectrum disorders and their families. Autism Speaks, an autism education and research organization, seeks to raise awareness with its “Light It Up Blue” campaign, asking communities to wear blue clothing and light up buildings and structures with blue lights to represent the millions of people impacted by autism. Communities around the world are asked to wear blue clothing and light up their buildings and structures with blue lights to represent the millions of people impacted by autism. The awareness campaign is known as “Light It Up Blue” and coincides with World Autism Awareness Day on April 2. The gallery also displayed a banner on its building in Southfield, Michigan to promote awareness as well as illuminating the building with blue lights in solidarity with the “Light It Up Blue” campaign.